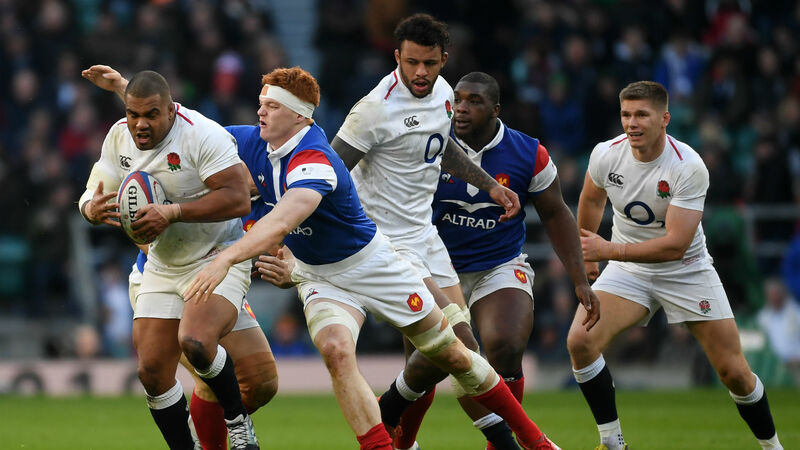 Wales head coach Warren Gatland thinks the enormity of a crucial Six Nations clash in Cardiff on Saturday could be challenging for the temperament of England's "time-bomb" Kyle Sinckler. Prop Sinckler had an altercation with Peter O'Mahony in the win over Ireland and was reminded to adhere to "rugby values" by referee Nigel Owens following a clash with France's Arthur Iturria at Twickenham. Gatland, who selected Sinckler for the British and Irish Lions tour of New Zealand in 2017, would not be surprised to see Sinckler sailing close to the wind again in the heat of the battle at the Principality Stadium. "There is a challenge sometimes with his temperament. He's aware of it. Other players are aware of it. We've already seen in the Six Nations that he has been involved in a couple of incidents," said the New Zealander. "Hopefully, we don't get dragged into that on Saturday. Emotionally, he can be a bit of a time-bomb. I am not saying anything that people aren't aware of. "Look, we won't be going out there trying to antagonise him, because that's not in our make-up. We will just go out there and play. "Hopefully, he goes out and has a good game and is able to keep his emotions in control, because that's a big challenge for him."